A temperature controller is an electronic device which is used to monitor and ensure a constant temperature according to a setpoint. The temperature controller is used to measure and maintain the temperature of a room, an enclosure, a liquid. It guarantees a constant temperature and ensures optimum use of the systems in which it is found: ovens, baths, cold rooms, machines. 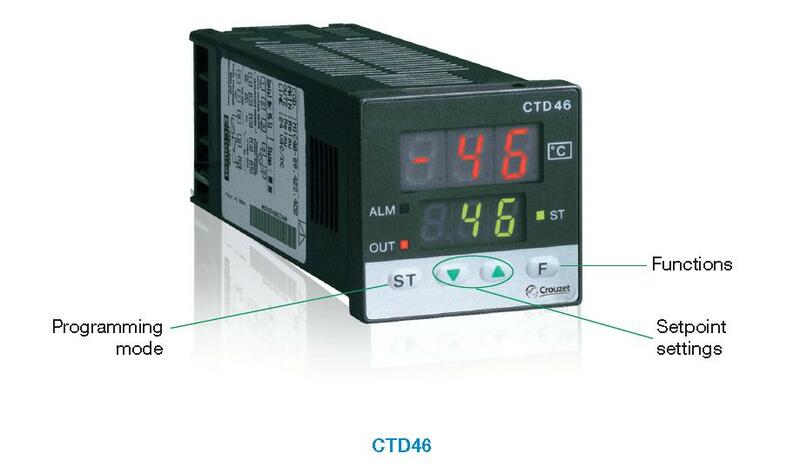 Directly interfacing with probes, the temperature controller controls and displays the temperature of the enclosure. It can be used to set an alert in the event of an anomaly (low and/or high temperature). 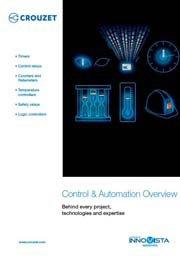 The temperature controller action is not limited to monitoring. It senses and controls the temperature, acting on the system heating or cooling. If the controlled temperature does not conform to the setpoint, the controller implements a heating or cooling action. Adaptive tuning products which manage their parameters independently: PID, temperature rise and inertia curve to simplify the installation. A sophisticated control algorithm to obtain a temperature as close as possible to the setpoint. A dual display makes it user-friendly and easy to use. Compatibility with all types of probe thanks to a "Multi-technology probe input". Multiple outputs (logic and/or relay) for optimum integration in any system. consectetur quis in ipsum felis suscipit risus commodo dolor. Phasellus consequat.